Vacation is a time for enjoying the outdoors and sunshine, dining out, seeing new sites, and exploring new activities. Even vacations centered around relaxation do so under unique conditions not found at home, which creates an entertaining adventure of a different sort. But when the day is done and you’re all worn out, sometimes it’s nice to just sit down and enjoy a little television. However, when you switch that TV on, you never know what you are going to get. Some vacation rental units provide basic cable only. That means your choices will be limited. When a large selection of channels do come with the cable service for your rental, it can be a little disconcerting to figure out which channels are which. The shows and channel numbers just aren’t in the same place. You have a few choices at that point. You can take the time to learn your temporary TV, you can play some cards, or you can take control and bypass the whole thing. Let us explain choice number three. 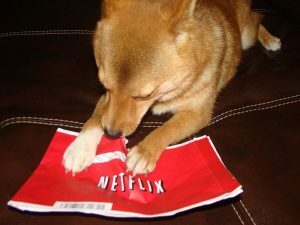 Most of us, in this day and age, have TV services like Netflix, Amazon Prime, YouTube, Hulu, or some other streaming subscription service, whether paid or free. If you’re not familiar with those, they are basically ways to bypass network and even cable television. You don’t wait for shows to come on, you select them from a list and watch them at your leisure. Best of all, when you have a paid service, there are no commercials. Is it worth it to pay ten dollars a month to not have commercials interrupting your shows? It sure is! But what does this have to do with vacation? Well, plenty. You see, when you depart your home town, you don’t have to leave your subscriptions for streaming video services behind. You can take them with you. We know a couple of ways that you can watch the TV you love while on vacation. We recommend enjoying your vacation destination rather than watching television. However, we also know evening times can turn into TV time and, of course, those dreaded rainy days need some entertainment too. Here’s how. Your streaming video services are not connected to your television set. They are Internet based accounts that are available anywhere you have an Internet connection. That means, if you stay somewhere that has a Smart TV, a Blu Ray player, or a gaming system like Xbox or PlayStation, you’re set. You can pull up Netflix or whatever other account you own and plug in your information. Sure, you have to remember your password, but it is that simple. Just like that, you have your personal settings of the account right there in your vacation rental. You aren’t going to find a lot of gaming systems in vacation rentals. 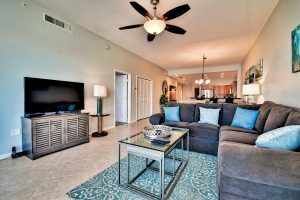 Those cost upwards of $300 and most rental owners aren’t willing to place such items into rentals that see a lot of guest turnover. Blu Ray players, on the other hand, are becoming quite common. 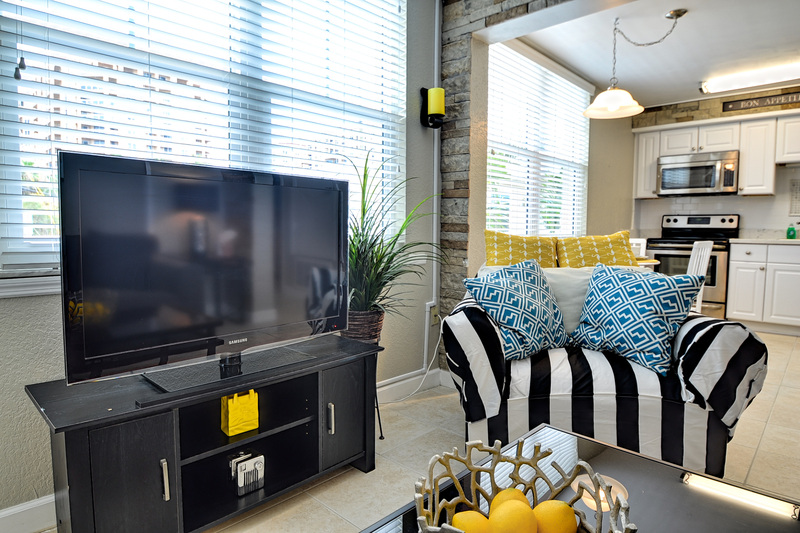 Smart TVs are creeping into a few rentals but are not yet the standard. What if you’re not sure your rental is going to have any of those? What if you want to be sure so that you or the kids are entertained? The answer is quite affordable! The device you need to bypass all concerns is called a streaming stick. The three biggest brands are Google Chromecast Ultra, Roku Streaming Stick, and Amazon Fire TV Stick. With a few bells and whistles aside, they all do the same thing. These portable streaming devices make any television with an HDMI port a little bit smarter. With the streaming stick plugged in, you can easily access your streaming video accounts. They retail between $30 and $80 and have no subscriptions of their own, which means you pay once and you’re done. When you’re ready for some entertainment, just log into your accounts then watch your shows the same as if you were at home. If you are using a Smart TV or a Blu Ray player, be sure to log out of your accounts before you check out! 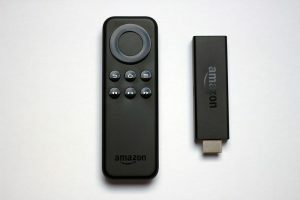 The streaming sticks are readily available, Smart TVs are slowly becoming the norm, Blue Ray players are everywhere, and we as a community are becoming more tech savvy in general. With all those options, if you want to take your streaming TV services with you on vacation, there’s really nothing to stop you.